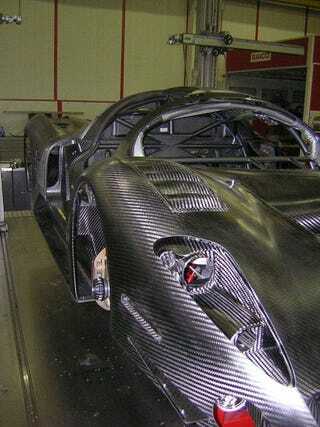 P4/5 Competitzione: Race Car Or Carbon Fiber Sculpture? The scuderia elfi building Ferrari enthusiast Jim Glickenhaus' P4/5 Competitzione have been rushing to meet the goal of racing in the 24 Hours of Nürburgring next year. Judging by the photos from their Facebook page, they're getting close.